Do you need to access your work files while out of the office? Need to meet with your team while traveling? Remote desktop software makes it easy to access your office computer and get work done from wherever you are. We've compared and reviewed the top remote access software based on price, ease of use, features, and reliability. Compare the best remote access software and download today! To keep this site free for consumers, we receive compensation for customer referrals. Compare the top remote access software and download today! To keep this site free for consumers, we receive compensation for customer referrals. Save 30% on annual subscriptions. These days, more and more folks are working on teams that are spread all across the globe or work remotely from home. 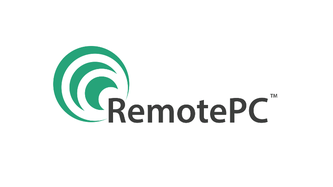 Remote desktop access software makes working with your team simple, no matter how far away you are. Gone are the days of lag times, glitchy online calls, or miles-long email chains to cover a topic that could have been covered in a quick meeting. What are the Different Features of Remote Access Software? Some remote access software programs only offer remote meeting capabilities, while others are full suites with remote desktop access, mobile printing capabilities, remote meetings, and more. We tend to favor software that offers users lots of options for use. Why Are There Cost Differences? While cheaper may seem better, you get what you pay for. When it comes to remote access software, it can be worth it to pay a bit more to get more glitch-free software that is easy to use and install and will keep you and your team working efficiently. How Easy is it to Use Remote Access Software? The free remote desktop program on your computer might work, but is it easy? The whole point of remote access software is to make your digital work life easier and more efficient. We rated software whose users said it was easier to use — this means user-friendly design, whether you have to call your office to have someone turn your work computer on, little to no lag time, and more. How Secure is Remote Access Software? Any time you're transmitting information over the web, such as in the case of using remote access software, cyber security is a concern. We've taken a close look at the security precautions that various remote access software programs have in place and ranked the most secure options at the top of our list.